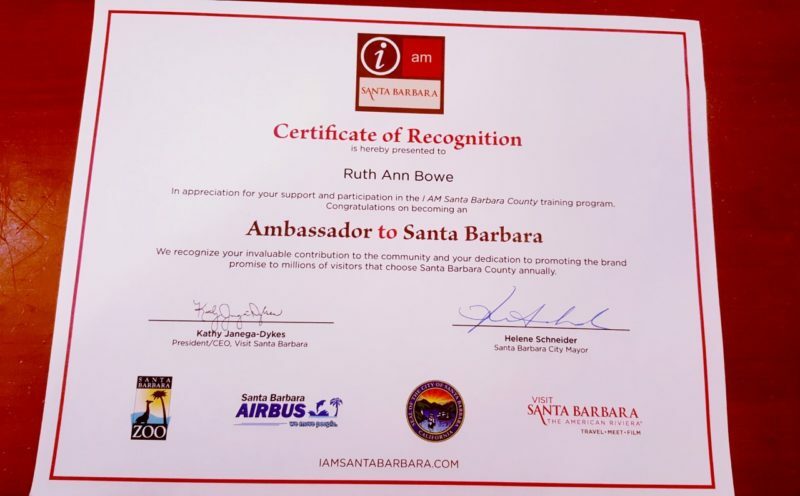 Ruth Ann is YOUR certified Ambassador to Santa Barbara! a certified Ambassador to Santa Barbara! Go to the website to learn more about this uniquely beautiful place through this fantastic certification and training program, and how you can become an Ambassador to Santa Barbara. The training is engaging and really fun, even included a train ride at the beautiful Santa Barbara Zoo! For some spectacular Santa Barbara eye candy on your Instagram feed, follow Visit Santa Barbara! For Twitter, follow @SantaBarbara, or give Visit Santa Barbara a thumbs-up on Facebook. Whether you are passing through, or have roots already firmly planted here, Santa Barbara is so incredibly worth getting passionate about. Ruth Ann is grateful for this opportunity to be an Ambassador to serve the community and share that passion as widely as possible. Now more than ever, Ruth Ann is more than your Santa Barbara Realtor®, she’s a resource!